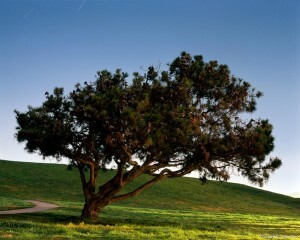 For the 11th time, I’ll participate in East Bay Open Studios. This year, I’ll be back at my cozy home studio in West Berkeley! I’ll have some new work and old favorites, plus my book of night photography. Please stop by during the first two weekends of June between 11 a.m. and 6 p.m. and say hello. And if my work moves you, inspires you, or delights your senses in any way, please consider taking some home. East Bay Open Studios is produced by Pro Arts, a 40-year-old Oakland-based nonprofit that supports the arts within communities by serving the ongoing needs of artists. Open Studios connects the public with over 400 regional artists and is accompanied by the Directory of East Bay Arts. More information and online gallery at proartsgallery.org. 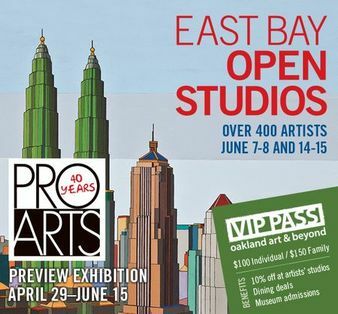 For the 10th year, I’ll participate in Pro Arts’ East Bay Open Studios. I’ll have some new prints and old favorites, plus my book of night photography. Again this year, I’ll join around 40 other artists in Jack London Square’s Pavilion (the former Barnes & Noble bookstore space). Plus, there will be at least two dozen more artists in Market Hall nearby. Lots to see. So please stop by this weekend or next between 11 a.m. and 6 p.m. and say hello. If my work moves you, inspires you, or delights your senses in any way, please take some home. For the seventh time, I’m happy to be participating in Pro Arts’ East Bay Open Studios. I’ll have some new prints and old favorites. Remaining 8″×10″ prints are only $75, and my popular Night Photos screensaver is $20. The show takes place over the first two weekends in June and involves over 450 artists throughout the East Bay, mostly in Oakland and Berkeley. You can see an online preview of the work being exhibited on the Pro Arts Gallery website or in-person previews in Oakland, Berkeley, or Richmond. Some very local artists and I have collaborated to form the North Berkeley Artists Walking Tour, a self-directed tour of studios in the northwest section of town. I’ll have maps of the tour and postcards from other artists on the walk. While you’re here, pick up a free copy of the Directory of East Bay Arts, the color catalog with maps to the studios, an arts calendar, and other things East Bay art lovers need to know. For the sixth year running, I’ll participate in Pro Arts’ East Bay Open Studios. Stop by, see my new work, and pick up a free copy of the Directory of East Bay Arts (the new, expanded color guide with maps to the show, an arts calendar, and other things East Bay art lovers need to know). The show takes place over the first two weekends in June and involves over 400 artists throughout the East Bay. Please stop by between 11 a.m. and 6 p.m., say hello, and take home some art to inspire you and remind you this really is a beautiful world. Once again I’ll again participate in Pro Arts’ East Bay Open Studios. Come to my studio, see my new work, and pick up a copy of the Directory of East Bay Arts (the new, expanded color guide to the show and other things arts-related in the East Bay). The show takes place over the first two weekends in June and involves over 400 artists throughout the East Bay. Please stop by between 11 a.m. and 6 p.m., say hello, and see my work. I’m especially excited this year to participate in Pro Arts’ East Bay Open Studios. 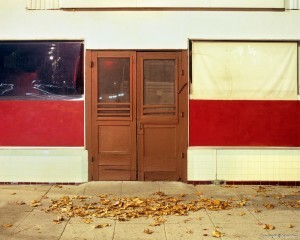 One of my night photographs, Slow Down, was the image chosen by Pro Arts to promote the show! It’s on the cover of the Directory of East Bay Arts (the new, expanded color guide to the show and other things arts-related in the East Bay), postcards, posters, and East Bay Express ads. Look for copies of the directory at galleries, cafes, and other venues. The show takes place over the first two weekends of June and involves over 400 artists throughout the East Bay. Please stop by between 11 a.m. and 6 p.m., say hello, and see my work. 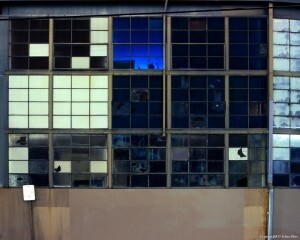 To help highlight East Bay Open Studios, I’ll give a free talk about night photography at 4 p.m. at Elephant Pharmacy, 1607 Shattuck Ave. (at Cedar St.), Berkeley, California. I’ll tell you how I create my work, who else takes pictures at night and why many of them are in the Bay Area, answer questions, and give tips for how you can create your own enchanting images. So come on by! As a preview for East Bay Open Studios, four artists—Sally Landis, Michael Cutlip, Bart Trickel, and I—were selected for an exhibition at Oakland International Airport. If you’re flying in or out of Oakland, look for our work in Terminal 1, through August 17.